If you love beer and you find yourself in Charlotte, North Carolina, go directly to The Flying Saucer. That’s what I did, upon landing in Charlotte on March 21. My sister Jen picked me up at the airport and we drove straight to the Saucer for lunch and North Carolina brews. The Flying Saucer was holding a special event for the North Carolina Brews Guild to celebrate Charlotte Craft Beer Week. There were 26 different North Carolina brews on tap for $2.75 a pint. The Flying Saucer had a great beer selection, fun service, and a funky feel. We sat outside on the patio and enjoyed some pub grub with the beers. I knew I was in North Carolina when all of the flat screens tuned into the NASCAR race. We wanted to watch the Maryland vs. Michigan State tournament game so we drove downtown to the Fox and Hound, where we found the basketball game and Red Oak Amber Lager. After the crushing ending of the Maryland game, we stumbled out of the Fox and the Hound and into the rain. Across the street was Charlotte’s Rock Bottom, and I couldn’t resist venturing inside. I tried their seasonal selections: an Irish Red and a solid IPA. My sister and her friend Meg showed me a great time in Charlotte! 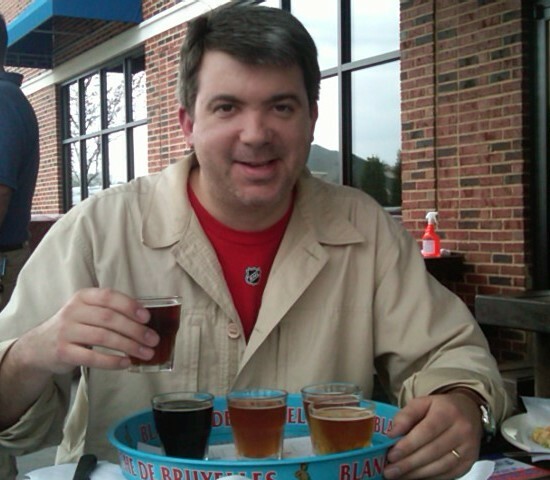 And later that day, I hung out with my old college friend at his place and the surrounding bar scene at Lake Norman. 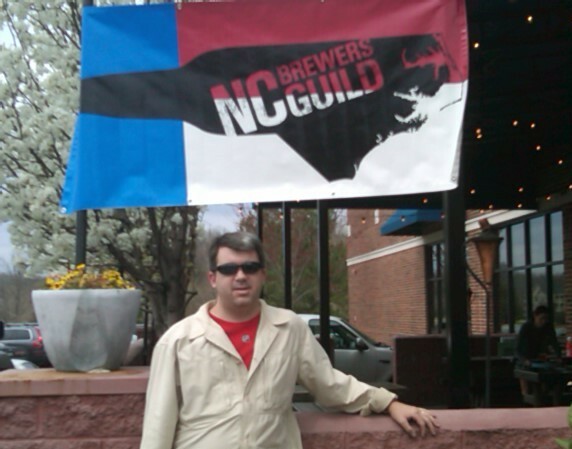 It was an epic day, as I sampled 16 local North Carolina brews. In conjunction with the Charlotte Beer Club, uptown Charlotte’s newest nightlife sensation WOK Bar (located at the corners of 5th and Tryon) is presenting their Inaugural WOK ON TAP beer-tasting event on January 11th from 7pm – 9pm. The featured beers include the exclusive and reknowned Dogfish Head Raison D’etre Draft (as well as several others from WOK Bar’s eclectic beer selection) along with WOK Bar’s newest culinary creation: Asian tacos! These are but two of the specials for attendees and Beer Club members. The event will also feature the acoustic rock sounds of Randy Clift as part of Wok Bar’s new ROK at the WOK series of live music events every Tuesday evening.